Contacts are meant to be legally binding, which is why they should be made with intelligence, attention to detail, and interest in mind. Breaches of contracts are known to happen and can result in lawsuits, which is why it is important to prevent it from happening in the first place. Whether you need a contract drawn up, or have found yourself in a sticky situation, Joseph C. Crudo and his team in San Diego are here to help you with all contracts and civil litigation cases. We offer our clients assistance with writing up contracts as well as defending clients when contracts have been breached. A perfect contract without loop holes will need the expertise of lawyers who have years of experience crafting and working with contracts. 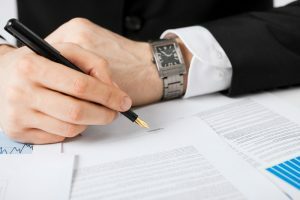 The best way to avoid a lawsuit in the future, is by ensuring the contract was written up perfectly in the first place. Paying for a good contract to start with will save you money in the long run by avoiding litigations in the future. We are here to review contracts, help craft, and even help mediate contract negotiations. If you are in need of a contract or have gotten yourself into a breach of contract, please contact our firm for a consultation to learn how we can help you. Contract breaches can lead to lawsuits and other unfortunate circumstances, whether you have breached your contract or someone has breached a contract you distributed to them. We will help you through every step to help you achieve your goals. Civil litigation refers to non-criminal lawsuits and covers a broad range of areas such as contract disputes, lawsuits, civil torts, and other civil matters such as worker’s compensation claim, legal malpractice, police misconduct, insurance issues, serious personal injuries, wrongful deaths, employment disputes, medical malpractice, legal malpractice, and even business disputes. If there is a situation going on in your life that you feel requires legal support, do not hesitate to call us for a free consultation. We will advise you on what legal help would support your situation as well as the potential outcomes. The sooner you seek legal advice, the more time your case will have to prepare for a trial, if necessary. At the law office of Joseph C. Crudo, PLC, we are here to help our clients with any legal contract work they need, whether they need it reviewed, written, mediated, or there has been a breach, our team will work together to achieve your goals. We also specialize in all civil litigation cases you might have found yourself in. For a contract lawyer or civil litigation attorney, contact us at our law office in San Diego, CA for your free consultation.